Oh man it’s been so hot lately. And when it’s this hot I just don’t feel like heating up the kitchen any more to get food on the table. 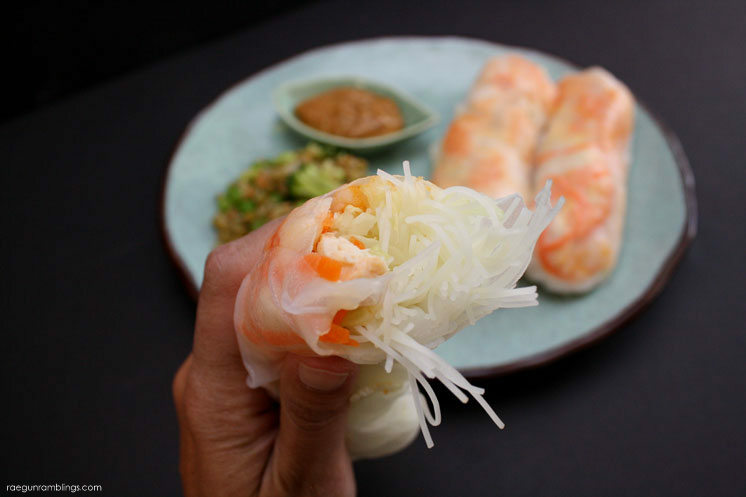 That’s why I love this Vietnamese Summer Roll recipe. Now let’s be clear I have no idea if this is authentic or not, I’m going to guess not. But it sure is good and it was definitely inspired by the fresh spring rolls that I get from the small Vietnamese grocer down the street from me. One of the things I love about this recipe is that it’s easy to make 1 or many. It’s just a matter of the ingredients. I like to prep all the ingredients (hydrate noodles and chop/slice the rest) at the beginning of the week and then use them for light healthy lunches. All I have to do is soak the wrappers pile the fillings in and roll. It’s so fast. So the amount of ingredients depends on how many rolls you are making. 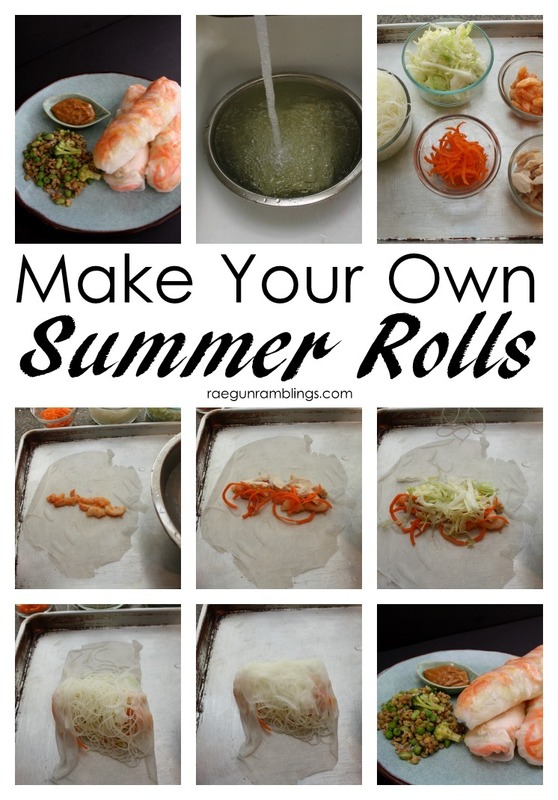 This is written to make 8 Summer rolls but you can EASILY just make 1. I eat 2-3 at a time and I’m a pretty big eater. Hydrate the noodles by soaking them in hot water until they are nice and pliable. Down the center leaving about 3 inches at both ends lay down the shrimp. And if you’re using them the cilantro. 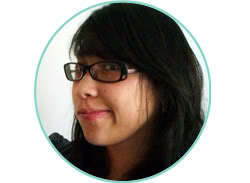 Fold the ends that are perpendicular to your line of filling in. Then fold one edge over as tight as you can and roll to enclose all the filling. I sometimes make my own peanut butter sauce but while I was picking up the rest of the ingredients for the meal at Walmart I found this jar stuff and it totally does the trick and one less thing for me to make. 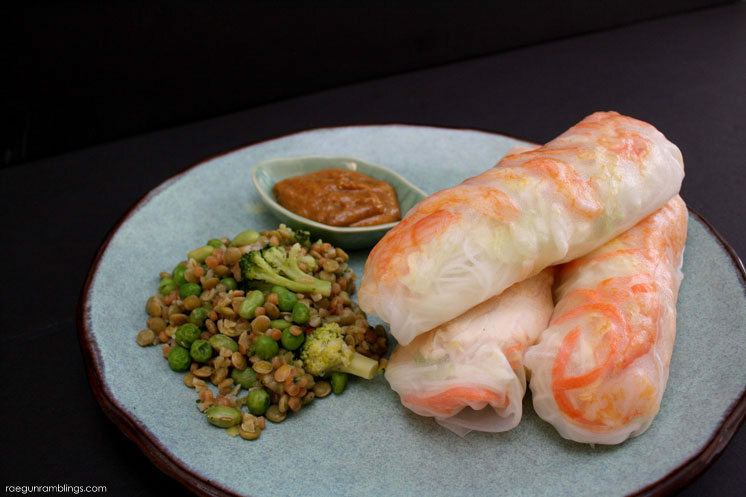 Serve the Summer rolls with easy microwavable Birds Eye Steamfresh® Protein Blends. This is the California blend pictured here but there are a bunch of options which are so convenient to have on hand and zap up to go along side just about anything so you always get enough protein. I love how they are making so many healthy options really easy and accessible. 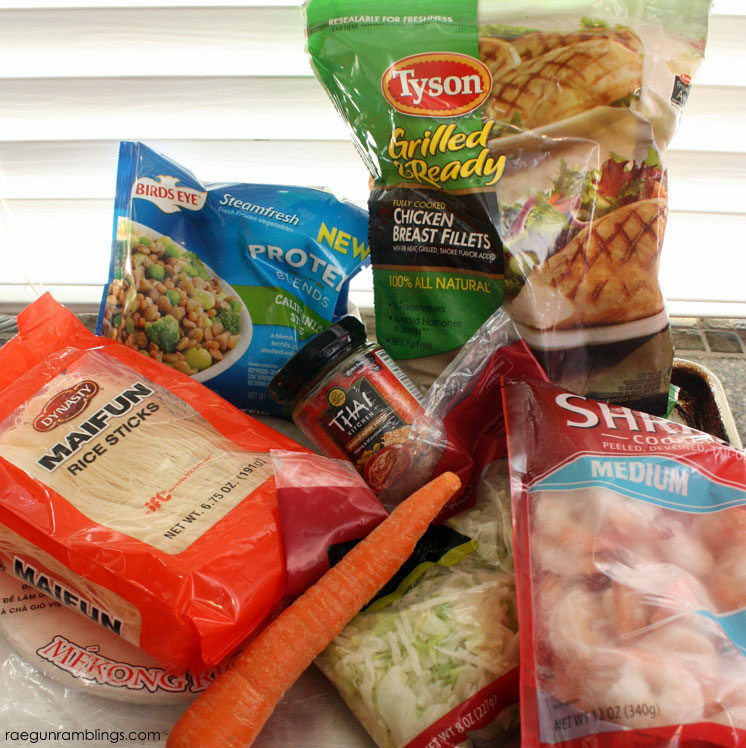 The 100% all natural white meat Tyson Chicken breasts are so easy to grab from the freezer and just throw in the microwave. 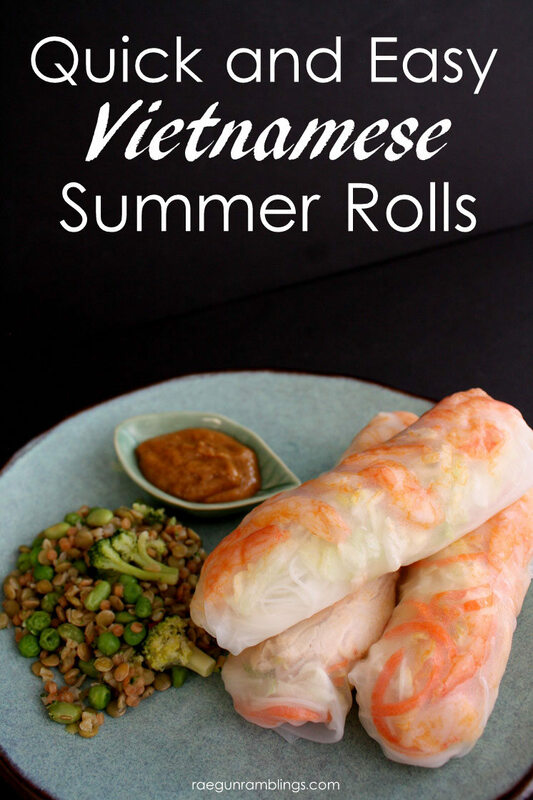 Since they are fully cooked and so yummy they are great for adding to so many recipes. That looks so tasty. Pinned! Oooooo…these look good! I totally pinned this and will try it out! Thanks! Thanks! I have always wondered how to make these! yes they are super easy!